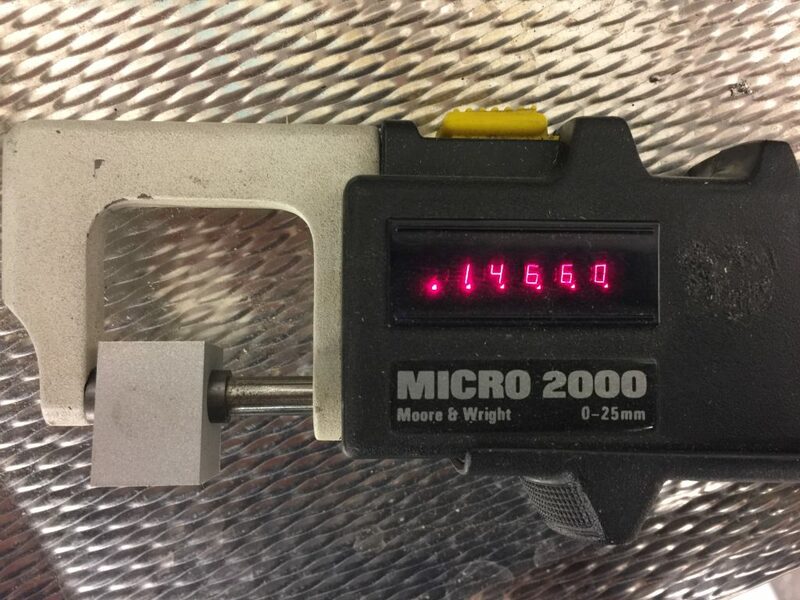 Then without compensation for the wire thickness (used wire is 0.25mm), the resulting piece becomes 14.66×14.66mm. This means that the total kerf width is 0.34mm and the clearance of the wire to the workpiece (or length of the arc) is 45 micrometers. As additional info, the achieved cutting speed with the above parameters was 4.3 mm/min and the thickness of the Aluminum was 20mm.